Trucks have an important function for the country’s commerce system. Every day, hundreds of them travel on the roads, carrying tons of heavy cargo. And it is absolutely necessary this cargo to be properly secured. Otherwise, there is a very high risk of the load to come loose and into contact with another vehicle, bicyclist, or pedestrian, causing very serious injuries or wrongful deaths. There are many different hazards regarding unsecured truck loads, but the most common include improperly and inadequately held construction equipment being towed, automobiles being carried, and mobile homes being transported. This places obstacles in the road which can lead to accidents and injuries that can seriously injure or even kill drivers and passengers. In addition to being unsecured, cargo loads can also be improperly balanced, which can cause them to shift leading to poor braking, rollovers, and serious crashes on the nation’s roadways. There are strict limits on the total amount of weight trucks can carry on highways due to federal laws that are in place. Any truck that exceeds these limits are deemed to be overweight or overloaded and are in violation of the federal law because they take longer to stop and are generally harder to control. So, a large number of trucks on the road who are operating illegally, or who have cargo loads that are not properly secured put the public on roadways in danger. In 2004, the AAA Foundation for Traffic Safety reported that 25 000 motor vehicle accidents are caused each year by unsecured cargo loads on highways. According to Bellotti Law Group these car crashes result in 80 to 90 fatalities and many more serious injuries, including broken bones, closed head injuries, traumatic brain injuries, paralysis, spinal cord injuries, and others. In case you have been hurt because of unsecured cargo loads, you have to understand that you have legal rights and you may be able to bring forth a lawsuit to make those responsible account for your injuries. You should turn to a personal injury attorney who specializes in motor vehicle accidents immediately. These professionals can help you to obtain compensation for past, present, and future medical expenses, loss of income, loss of quality of life, pain and suffering. Cases involving unsecured cargo loads can be quite complex because it is often difficult to determine liability. 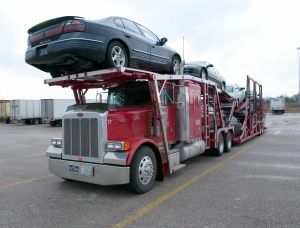 This is because the truck driver has a particular duty of care to inspect the load before the trip; however, the trucking company is required by federal laws and regulations to ensure cargo is properly secured for the driver. The shipper who arranges the load also has a duty of care to tie down and load the cargo properly. For these reasons, it is recommended not to act spontaneously and file a claim on your own, as you may overlook a responsible party. Try to find a professional personal injury lawyer as soon as possible. Time is of great importance, because evidence needs to be collected, witnesses need to be interviewed, and legal paperwork needs to be filed in time. Various states have different statutes of limitations and missing just one deadline can ruin the chances of a favorable outcome.